Christmas is a time for music, especially carols and when tubas and other low brass instruments come together to celebrate that tradition it can be very special. The annual TubaChristmas event is probably the most special celebration of its kind. 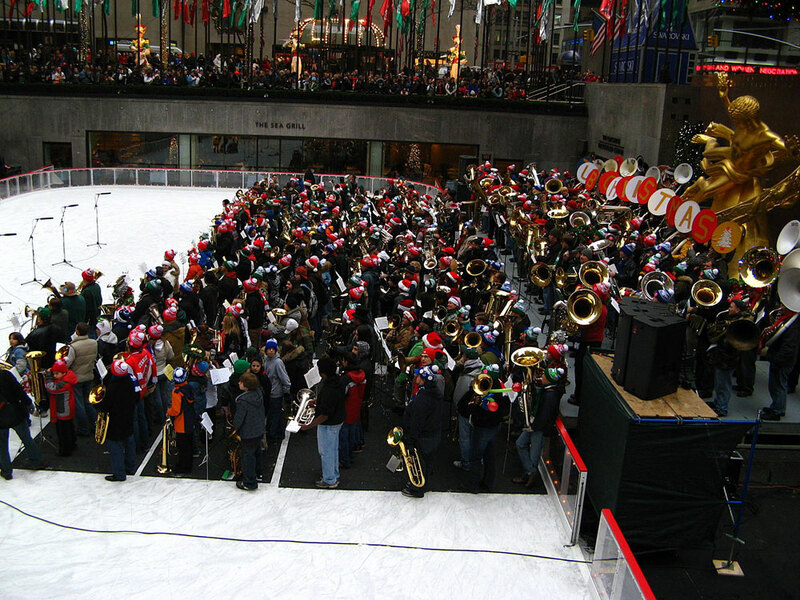 First staged at the Rockefeller Center in New York in 1974, TubaChristmas was the brainchild of Harvey G. Phillips, a tuba player. His idea was twofold – to celebrate the instruments that comprise the tuba family and to honour his tuba teacher William Bell, one of the world’s most respected tuba players and teachers. Bell’s birthday was Christmas Day 1902 so a Christmas time celebration seemed entirely appropriate. This year’s TubaChristmas celebration comprised no less than 295 individual concerts of different scale and size, staged in different locations around the world. These included New York, Los Angeles, Detroit, Kansas, Cleveland and many more in the United States as well as cities in Canada, Costa Rica and Switzerland. One of the largest of the 2015 TubaChristmas concerts featured a Wagner Tuba – the concert at Hall of Liberty, Forest Lawn Hollywood Hills in Los Angeles where some 200 players were involved. Let us hope the TubaChristmas 2016 events will see an increasing number of Wagner Tuba players taking their instruments along to participate. If you are one of them, let us know and we’ll be pleased to help promote your particular event.